Weather is a leading draw of people to websites. 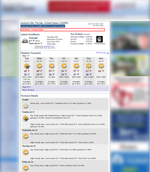 If you have a great weather site your visitors will stay longer and be more satisfied with your site. Now your site, no matter what size, can afford custom weather pages that will blend right in with your existing content and draw people back to your site again and again. And you'll keep people on your site with all the information (no links off to other weather sites). 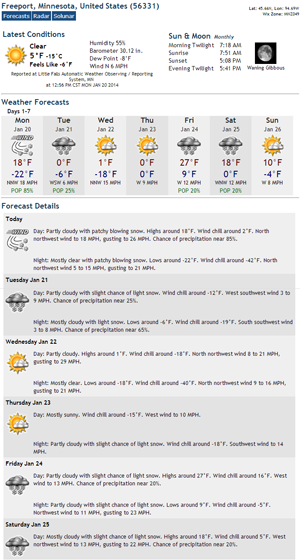 A single sponsor for your weather pages could more than cover the cost. Review the packages below, then tell us how we can serve you and your website's visitors. Have other questions? 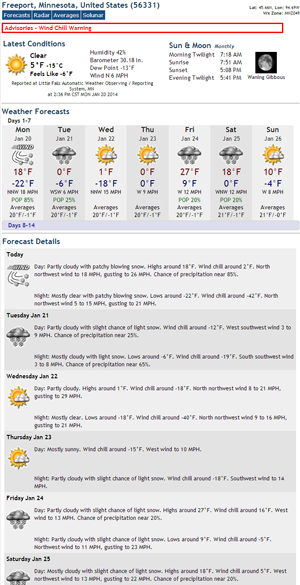 Click here to e-mail support@weatherforyou.com. Only pay for the amount you'll use. We have a package available for any size site. Complete your weather site with custom branded maps of your area or state with your logo. Interactive Maps available starting at $300 per month. Contact us at support@weatherforyou.com for more information.